We wish you have a fruitful birthday with us! 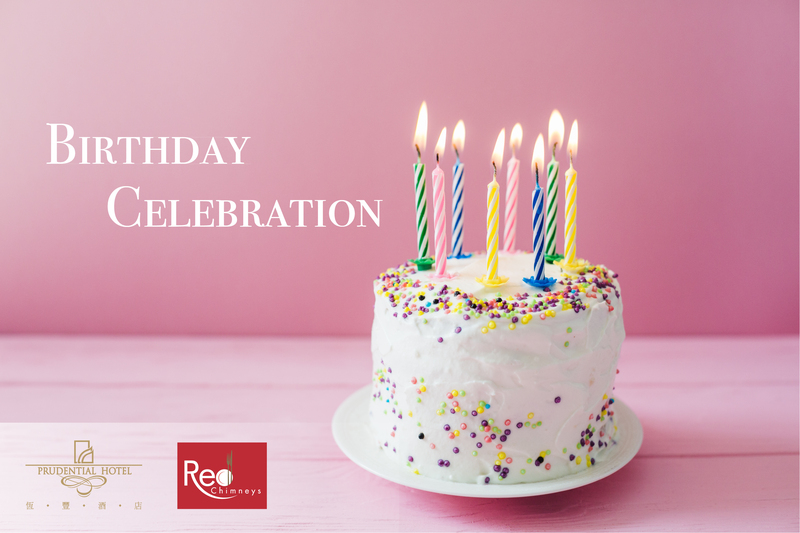 Complimentary birthday cake (1 lb) will be offered to the birthday star for bookings of 6 adults or above on Dinner Buffet. Birthday cake must be reserved at least 1 day in advanced; only applicable to dine-in consumption, not applicable to takeaway. Copyright © 2008-2018 Prudential Hotel. All rights reserved. Best viewed with Firefox，Google Chrome, Internet Explorer 8 or above version and with 1024 x 768 resolution.